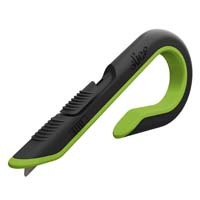 Razor-sharp HAND SHARPENED ceramic replacement blades, for use only with the Slice™ ceramic box cutter. 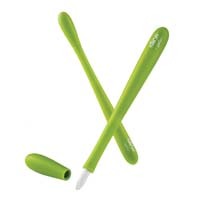 Each pack contains four (4) double-sided, rounded-tip ceramic blades. For use only with Slice Ceramic Box Cutters, each blade measures approximately 1-5/16" inches (34mm) in length. Slice was founded in 2008 by TJ Scimone as a way to help fund long-term care for his son, Alex, who is autistic. 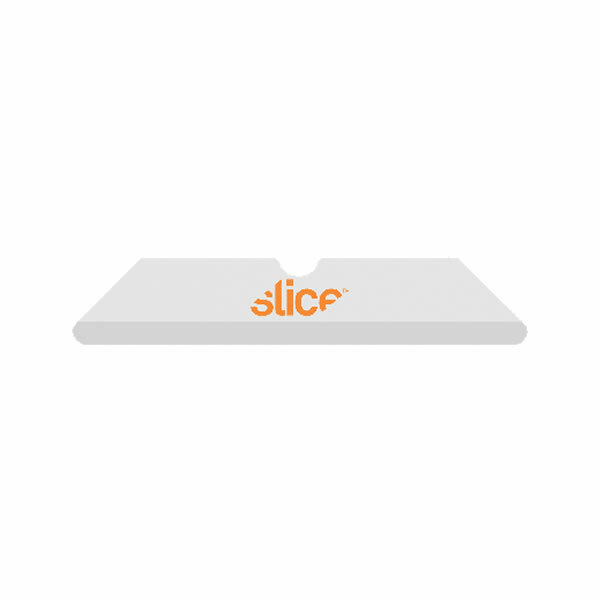 A minimum of 1% of all Slice product sales is donated to help fund autism research. By purchasing our products, you’re helping to find a cure for the millions of children and their families who live with autism every day. An Artful Combination of Function and Style. 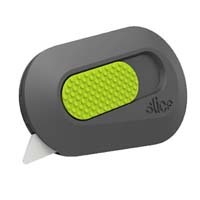 High-tech, Double-sided, Hard-sharpened Ceramic Blade. Less Blade + More Control = Less Injuries. Disposable Version of the #1 Selling Klever Xchange. 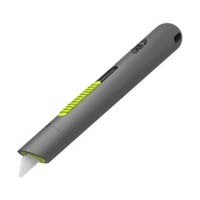 Includes 1x - Double Wall Replaceable Blade Head. Double-sided Replaceable Blade Head, Tool-free Blade Change. Non-removable Blade w/ Unique Film Piercing Tip.